★★★★★ This works great when I'm on my morning walk. It has ample room for my iPhone which means I don't have to think about having pockets to hold it. It's well made and seems like it will be durable. 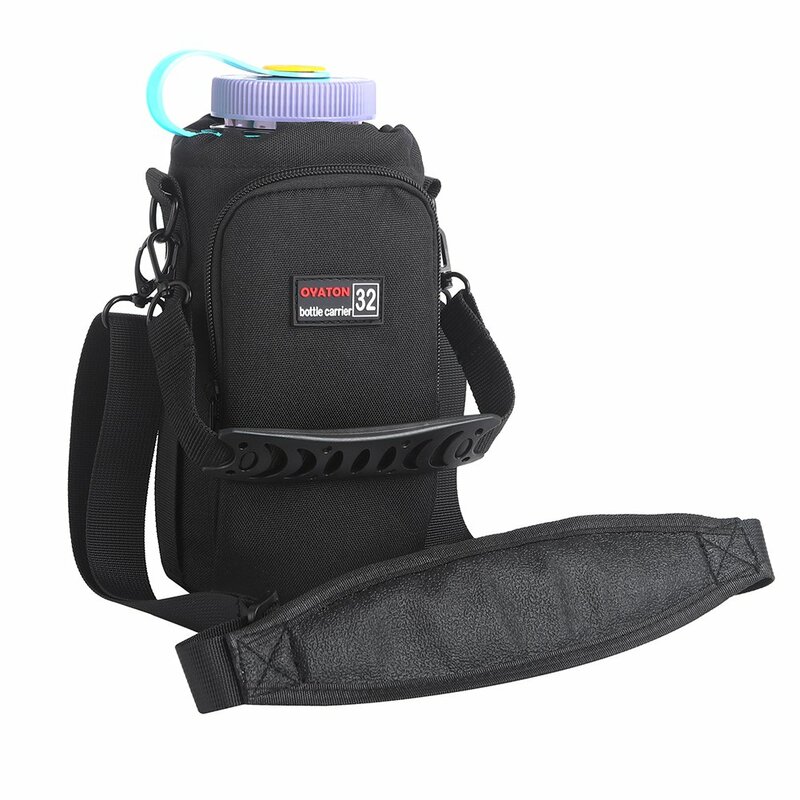 ★★★★★ Seems well made, has a nice carry handle and a detachable shoulder strap. Is thinly insulated. Side pocket holds the shoulder strap when not in use.Holds 32 oz water bottles and my 40oz bottle also fits. ★★★★☆ I like the fact there is a pocket for cell phone, etc. but it needs to be better insulated FROM the cold. ★★★★★ This insulated bottle holder is very convenient for me to carry the water bottle just for a short hiking. Normally, I have to carry my backpack with me but after I bought this, if the distance less than 5 miles, I can just bring this bag with me. It is so light that when I sweat, it won't sticky on my back and the small pocket in the front I can put my cell phone. Very good design.